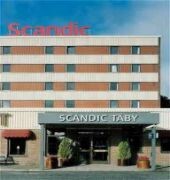 If you are looking for eco-friendly hotels in Taby located near a shopping district, check out Scandic Taby offering a complimentary breakfast to all its guests. There are many great attractions nearby, including Taby Centrum, Taby Racecourse, Djursholms Golf Club and Djursholm Castle. Stockholm's Golf Club is close by as well.This hotel has its own restaurant serving breakfast and dinner where you will find a selection of items to try. If you are visiting Sweden for business or on vacation, make sure to take some time to relax as you will find a fitness facility and a sauna on offer. There is also a bar/lounge where guests can enjoy drinks after a long day.